To kick off a series of posts on a week-long swath of culinary destruction I embarked upon a few weeks ago in New York, this is one of Myra’s favorite dishes – and now one of mine – from a longtime favorite of hers and her sister’s, Cavatappo Grille, on the Upper East Side. 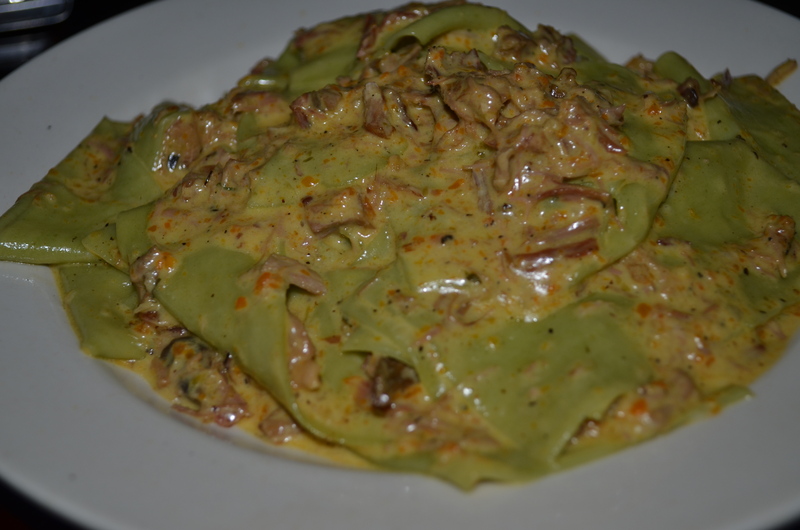 Luxurious strands of pappardelle coated in a umami-soaked sauce, full of shreds of seared duck that have still hung onto their rich flavor. All enjoyed in good company, of course.